Unlike the regular enemies in the game that are befriended by giving them a "Friendship Heart," the "Dream Friends" can only be recruited in the special "Dream Palaces" (in the Story mode, at least), where you spin the big roulette wheel to randomly get one of them. Once they become Kirby's friend, though, they can then be controlled by one of YOUR friends using another controller or Joy-Con. 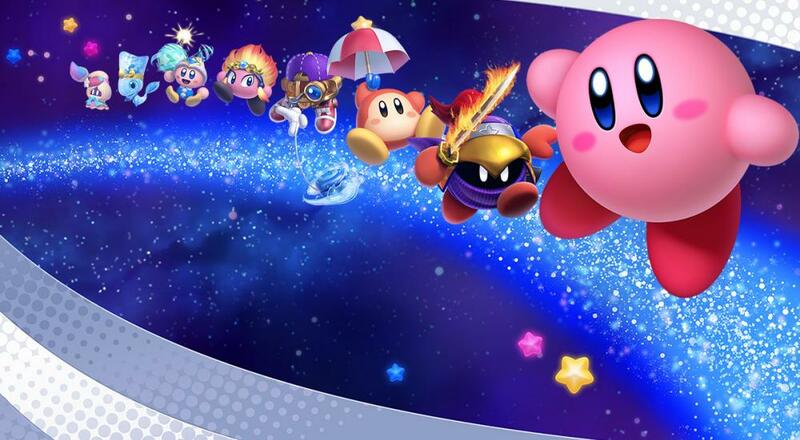 These new characters join up with Marx, Gooey, and Rick & Kine & Coo that were released back in March, and Bandana Waddle Dee, King Dedede, and Meta Knight that were available at launch. The Dream Friends can also be used in the other two co-op game modes, Guest Star ???? Star Allies Go! and The Ultimate Choice. Kirby Star Allies is available on the Nintendo Switch and supports four player couch co-op in the Story, Guest Star ???? Star Allies Go!, and The Ultimate Choice modes. Page created in 0.8381 seconds.